Assassin’s Creed Origins surely is a game on many people’s wish lists for the year. This is not surprising taking into account it’s the first major game in the Assassin’s Creed franchise since 2015, and might make gamers forget about Unity’s poor launch in 2014 once and for all too. And part of Assassin’s Creed Origins appeal is not only it’s interesting ancient Egypt setting, but also the new features in Ubisoft’s upcoming game. Actually, one of Origins’ more interesting features has been borrowed directly from last year’s Far Cry Primal game, and this is that you will be able to tame wild animals and get them to fight for you as you could in Ubisoft’s 2016 first-person action game. 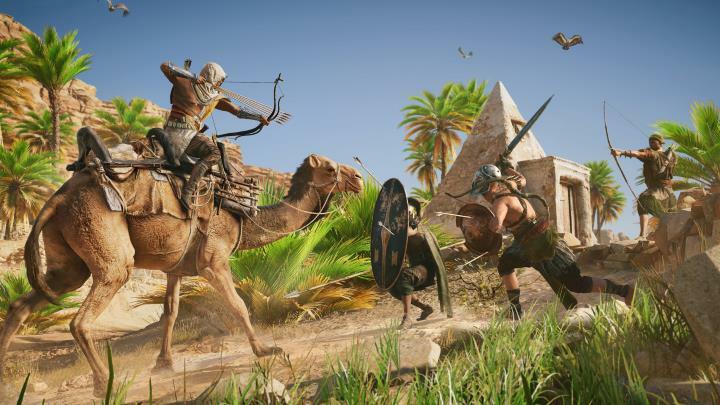 “The animal taming is a lot of fun, and you can pretty much tame every predator type of animal, it’s a cool ability”, Assassin’s Creed Origins creative director Ashraf Ismail told the Official PlayStation Magazine (via GamesRadar) this summer. The animals you will be able to tame in the game include hyenas, leopards, lions and surprisingly crocodiles too. Actually, in the OPM interview Ismail explains how he had tamed a crocodile and left it behind (like in real life, crocs are not that fast in the game you see) only for it to appear while he was in the middle of a fight and save his life in the game later on. Of course, there’s one animal you’ll be able to rely on throughout the course of the game and that’s protagonist Bayek’s trusty eagle Senu, which can be used to scout ahead and acts as a replacement for the viewpoints players had to climb in the earlier games. You can not only mount animals in Assassin’s Creed Origins, but also tame them and make them fight by your side too. Also, there’s another animal in the game which may have raised a few eyebrows too… This is the giant snake that appears in the game’s gameplay trailer released at the E3 show last June. After all, Assassin’s Creed has mostly delivered a realistic experience since the first game came out in 2007, even if it does have quite a few sci-fi elements and mythological mumbo-jumbo at its heart. “I mean we have our lore, of course, we have our First Civilization, and that aspect, I mean we don’t shy away from that, it is part of the brand and we assume that. But we also don’t go randomly high fantasy”, Ismael told OPM in an interview. 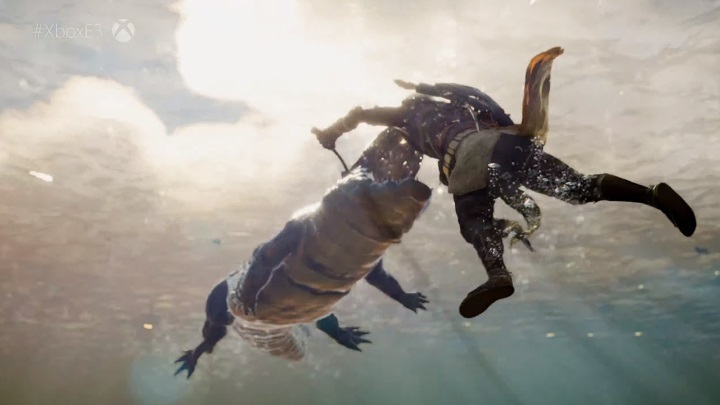 However, Assassin’s Origins creative director did not actually reveal where the giant snake comes from in the game, or whether this is some kind of dream sequence Bayek is going through, or perhaps something else… Although he did reassure fans this Assassin’s Creed game would still offer a realistic gameplay experience despite this. “Yes it’s a giant snake, if you ask yourself, how could a giant snake exist for a guy like Bayek? I’m sure there are a few answers that can work, but I’ll stay saying that Assassin’s Creed is an authentic, credible experience”, added Ismail. What’s clear though, is that Assassin’s Creed fans will be looking forward to facing this giant snake, taming animals and enjoying all other side activities Assassin’s Creed Origins has to offer when Ubisoft game hits shelves this fall, as this is certainly one of the most promising games coming out this year.